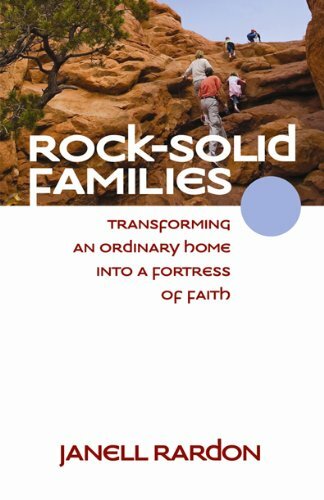 Rock-Solid Families is a spiritual training manual that summarizes twelve principles that spiritually strong families have in common. Rardon offers inspiration, practical methodology, and strong scriptural application for transforming an ordinary home into a fortress of faith. For more than twenty-two years, JANELL RARDON, has been raising her family and championing the cause of families in various capacities. Janell's dynamic, direct, devoted-to-truth teaching and writing style is the culmination of years of in-the-trenches experience. her passion as a Christian communicator and teacher is to equip the family unit to thrive, enabling members to discover their creative potential, purpose, and passion. Janell and her husband Rob have three children-Candace, Brooke, and Grant. The Rardons live in Virginia.